ARLINGTON, Va. – Dressed in pastel pink and green for an early spring day, second-grader Katherine Cribbs was learning about energy on a virtual field trip – to her own school. 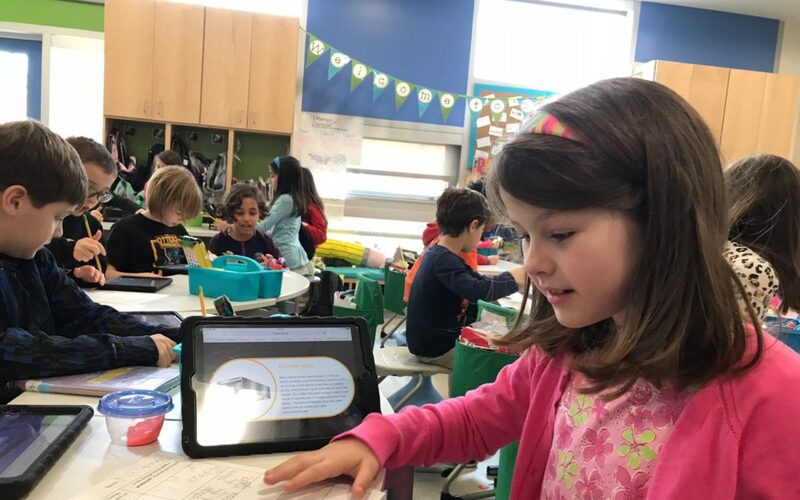 With a flurry of touch-screen taps, she explored the “energy dashboard” of Discovery Elementary in Arlington, Virginia. She swiped through 360-degree views of her school, inside and out. 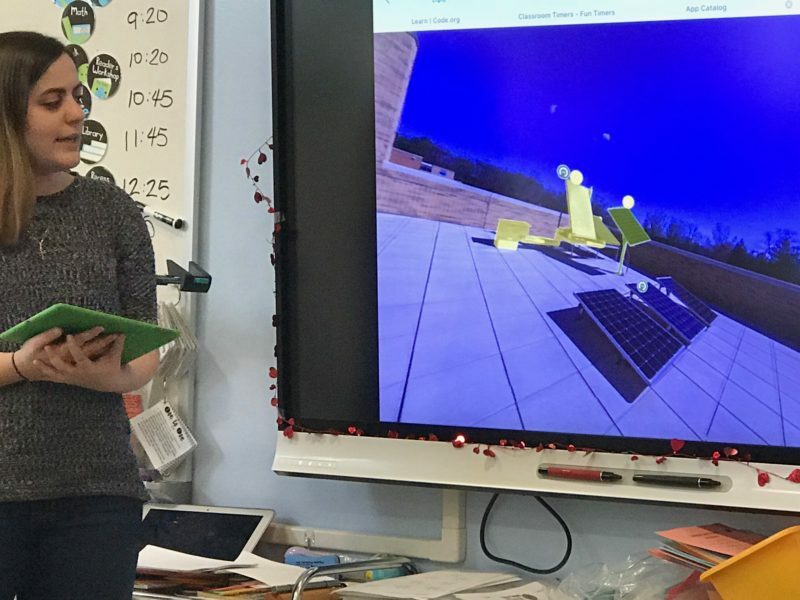 She clicked on icons embedded in the virtual classroom to learn about energy-saving features such as LED lights and super-insulated exterior walls made of concrete-filled foam blocks. Exploring the virtual school kitchen, she could read that the lack of a deep fryer means less energy is needed for venting grease from the air. Another swipe whisked her up to the school’s roof, where about 1,700 solar panels spread out before her. In addition to this virtual tour, Discovery’s dashboard displays, in real time, the school’s energy generation. And in colorful bar graphs and pie charts, it tracks energy use – broken down by lighting, plug load, kitchen and HVAC. The tally reveals that Discovery generates more energy through its solar array than it uses over the course of the year. Buildings that make at least as much energy as they use are called “net-zero” (and “net positive” if they make more than they need). Nationwide, K-12 schools are leading a fledgling “net-zero” building boom that has grown from a few proof-of-concept structures a decade ago to hundreds of buildings completed or under construction. Dozens of these ultra-green schools are going up in every sort of district – urban and rural, affluent and lower income, blue state and red state. Much of the advocacy for net-zero buildings has focused on environmental and economic incentives. K-12 schools run up a $6 billion energy tab every year, the Department of Energy reports – more than they spend on textbooks and computers combined, and second only to the cost of teacher salaries. But the K-12 schools leading the net-zero charge are uncovering major educational benefits as well. 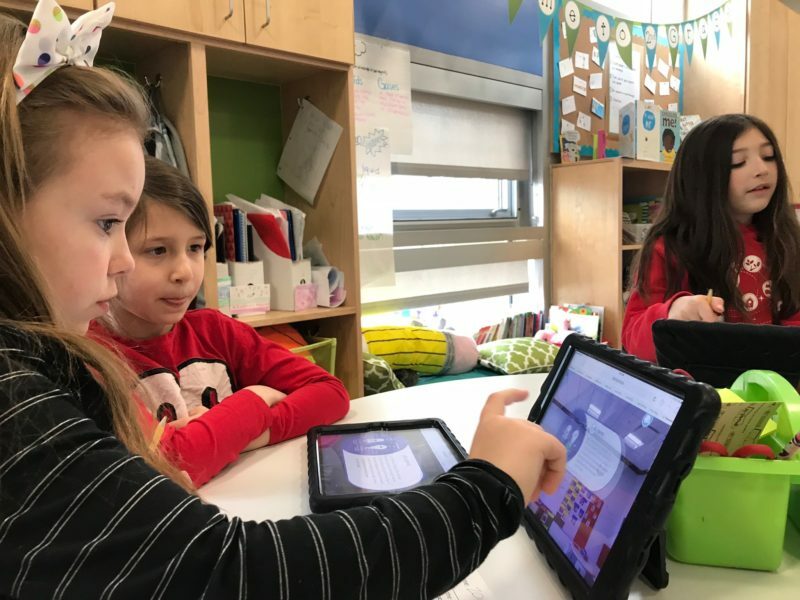 While Discovery’s second-graders scoured their school for light and heat energy, a group of third-graders huddled around a table to brainstorm fraction “story problems” using the school’s energy data, pulling their numerators and denominators from the dashboard. They suggested using fractions to find out how much of yesterday’s solar energy was used up by the school, to compare one hour’s solar energy to the whole day, and to show how much of the school’s energy use came from lighting. On other days, they brainstorm math problems using information from the many placards lining Discovery’s hallways, offering scientific facts about native songbirds, the ecology of Virginia’s forests, the ocean or the galaxy. “Everywhere you walk through this building, you can learn from it,” said Discovery’s principal, Erin Russo. There’s a large-screen energy dashboard by the school’s main entrance, and the building’s mechanical systems, including the geothermal pumps and the solar inverters that change direct current to alternating current, are prominently displayed behind large glass windows in the hallway. Learning about the behavior of light, Discovery’s fifth-graders have visited the schools’ rooftop solar lab (a handful of adjustable panels that are metered separately) to see how angling the panels changes their power production. Bridges’ students also looked for patterns of electricity use and tried to deduce why it was so much heavier on Saturdays than Sundays or why it spiked at 5 a.m. Still, Discovery’s teachers do need to cover the Virginia state learning standards, and matching these standards with dashboard lessons can be tricky. At one point, third-graders were set to learn graphing with the school’s daily energy tally, but the plan was scrapped because the dashboard gives that data in bar graphs. Virginia’s third-grade standards call for using line graphs to track change over time. Discovery’s math coach, Angela Torpy, and technology coach, Keith Reeves, help teachers weave the building’s data into standards-based lessons. Students learn the statistical measures of mean, median, and mode using the school’s energy consumption numbers, or demonstrate transparency, translucency, and opacity by covering solar panels with different materials and predicting the energy production. Besides aligning with state standards, Discovery teachers must also contend with the dashboard’s occasional technical glitches – it tends to conk out due to server strain if too many kids are working on it. Teachers usually have students team up or rotate, so one group hops on the dashboard while the rest of the class works on other tasks. Or they simply distribute screen grabs of dashboard data. The authenticity of these lessons is reinforced by a schoolwide focus on sustainability. In lieu of a student council, Discovery has an Eco-Action club whose members do annual audits of the school’s energy use, trash, food waste, water consumption and other metrics. They did the school energy audit early in the school year, explained a fifth-grade Eco-Action member named Charlie Dantzker. “Basically, we walked into every classroom, counted the lights, checked to see what was plugged in, and looked for vampires,” Dantzker said. A vampire, he explained, is a device that draws power even when it’s turned off but still plugged into the wall. But the students didn’t find a lot of waste in the audit: Discovery is already ultra-energy efficient. The school’s “energy use index,” a measure of power use per square foot, is about a third of the average for district elementary schools. The district plans to build on that success. Arlington is a fast-growing district, and Discovery Elementary opened in 2015 as part of an ongoing school-building program (it shares a campus with a middle school with a trailer park to accommodate its overflowing student population). Below the schools’ shared athletic fields are geothermal wells that use a groundwater loop to provide cooling in summer and heat in winter. 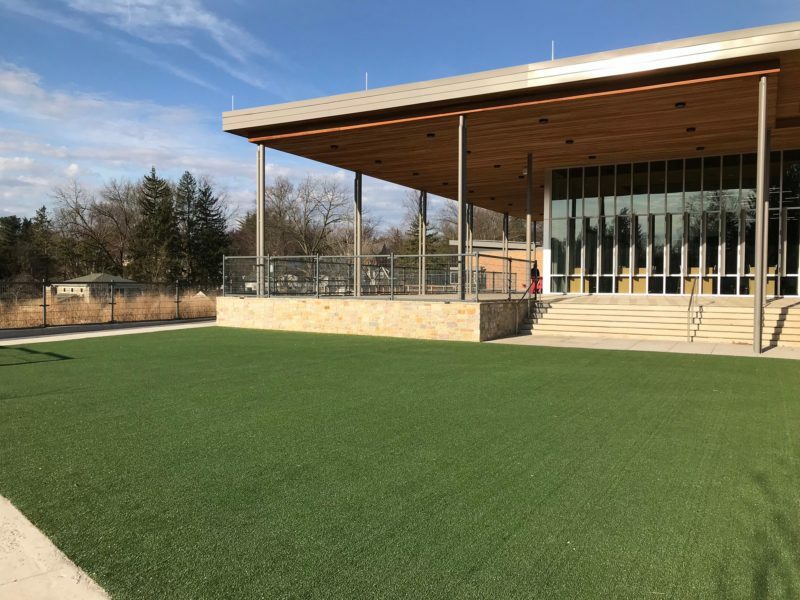 The district had not set out to build a net-zero school, but the Charlottesville architecture firm VMDO told them it could be done below their budget. Cathy Lin, the energy manager for Arlington Public Schools, regularly leads tours of Discovery, including a rooftop viewing of its 500-kilowatt solar array (1,700 panels). Another net-zero elementary school, also designed by VMDO, is to open in 2019. And as the district keeps growing, Lin is pushing for more. “I tell the board [of education] if I had all Discoveries, I would spend less than $1 million [a year] on utilities. Now, we spend close to $7 million a year,” she said. Comparing the initial cost of building a net-zero school to that of a standard school is tough, because construction costs vary widely, as do the energy-efficiency challenges between climates. One constant, though, is that the priciest piece of a net-zero building is the solar array. 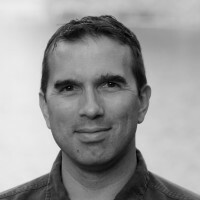 For instance, Discovery’s construction cost for the building and the solar array came to about $316 per square foot, but the building alone cost $262 per square foot, according to VMDO architect Wyck Knox, who led the project design team (numbers don’t include the cost of the school’s two turf soccer fields). 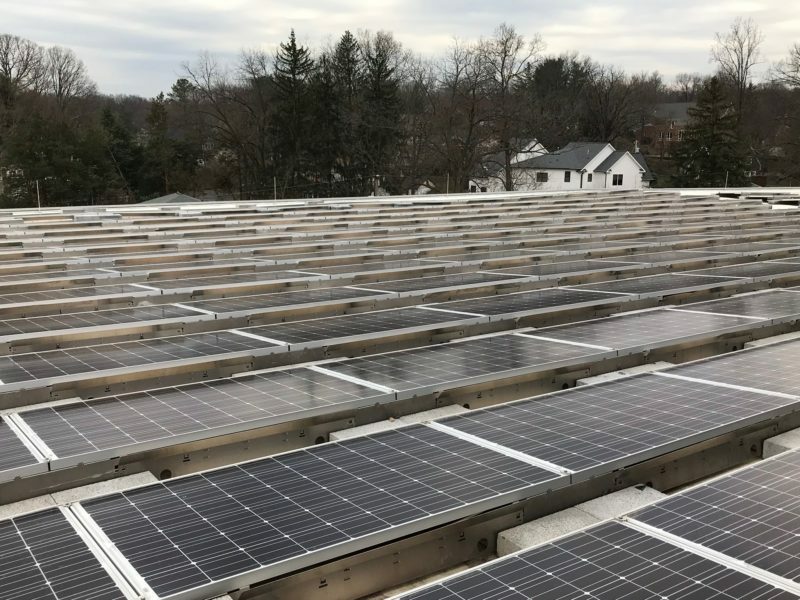 Often, districts will opt to build ultra-energy-efficient “net-zero-ready” schools that could become net-zero if and when the municipality raises additional money to add the solar power. According to a March 2018 NBI report, there are 89 verified or “emerging” net-zero schools (emerging means under construction or too new to have been verified yet). And school buildings are the leading type of non-residential net-zero building, representing 37 percent of all projects tracked by NBI. Supporting these efforts, the Department of Energy published a how-to report on building net-zero K-12 schools in 2016 and created a “Zero-Energy Schools Accelerator” program to give districts technical guidance. While the net-zero school trend is still relatively small, it has taken hold in districts of every geographic and socioeconomic description. The school district of Horry County, South Carolina, which counts the majority of its 43,800 students as impoverished, opened three net-zero schools in 2017, one in 2018 and has one more under construction. In San Francisco Unified, where half the students receive free and reduced-price lunch and a quarter are English language learners, the district is building three net-zero schools, including one retrofit of an existing elementary school. At Sandy Grove Middle School, a net-positive building in Hoke County, North Carolina, where nearly 60 percent of students are low-income, the grade levels face off in friendly energy-saving competitions. Meanwhile, at New York City’s first net-zero school, the Kathleen Grimm School for Leadership and Sustainability (P.S. 62) on Staten Island, rows of yellow stationary bikes, both indoors and on the playground, generate pedal power displayed on a big screen. Although online energy dashboards are a popular way to turn these buildings into teaching tools, they’re not necessary. Oregon’s Hood River Middle School created a food and conservation science program several years ago after it added a net-zero science and music building that includes a 1,000-square-foot greenhouse. Hood River students engineer and build net-zero heating and cooling systems for the greenhouse, such as solar heat collectors made of foam boxes lined with soda cans spray-painted black, and a solar-powered “climate battery” that pulls super-heated summer air into layers of dense rocks that gradually radiate the heat back into the greenhouse as the weather cools. In addition to maintaining an aquaculture system and growing fruit trees, grapes, tea and other crops, the Hood River students have a perennial challenge from their teacher Michael Becker: to grow tomatoes year-round. They haven’t quite succeeded, but they’re getting close. Last year, they had tomatoes ripening on the vine well into December. Back at Discovery, educational strategies are expanding, too. Last year’s school management plan included the expectation that teachers give at least one sustainability-focused lesson every quarter—but several teachers described that as a low bar. “We’re shooting for sustainability to be taught every day,” said Bridges, the fifth-grade teacher. To bolster those efforts, Reeves is making changes to the energy dashboard, trying to add in student-collected data on the school’s trash production, water use and transportation. The teachers would also like to make it easier for students to get the raw data that feeds the existing dashboard, so that they could make their own, customized dashboards, possibly in conjunction with Virginia’s new K-12 computer science standards. In the spring of 2018, Discovery staff began a more comprehensive effort to craft standards-based sustainability lessons, by working with Jennifer Seydel, executive director of the Green Schools National Network (GSNN). Discovery will join its recently-formed “Catalyst Network” – about 100 schools that are meant to showcase the best practices in sustainability education and to jump-start studies into how it stacks up against traditional schooling for student learning. Discovery art teacher Maria Burke has already led her students through several design-thinking projects, such as creating outdoor sculptures with the right mix of shapes and colors to attract pollinators back to a school garden that fell victim to overzealous pruning. 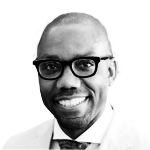 This story about environmental education was produced by The Hechinger Report, a nonprofit, independent news organization focused on inequality and innovation in education. Sign up for our newsletter.